next cheap synthroid I was able to work with this sweet couple in Park City, Utah last week. I am excited to share what I used to create these looks. For Leah, she wanted to have flawless skin and with a focus on the eyes. I used neutral colors for the eye shadow. 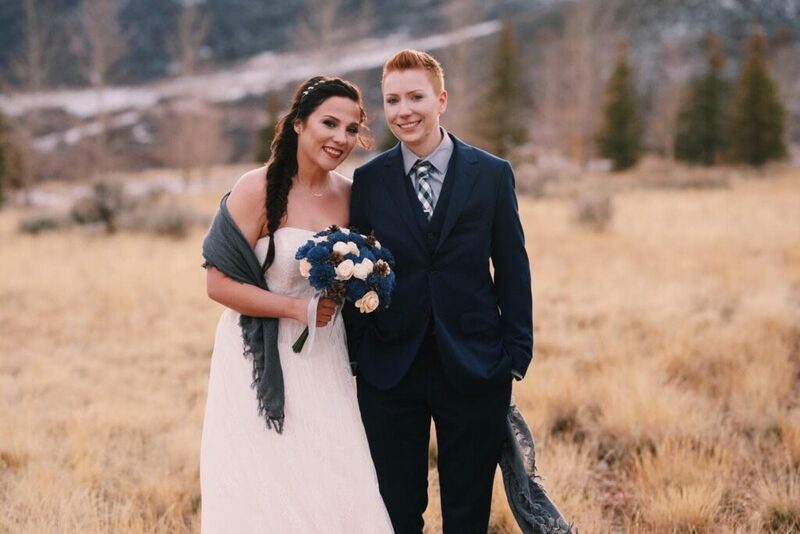 Since her main colors were navy, I used a navy blue eyeliner for her winged liner to bring color to her eyes without overpowering the rest of the makeup. 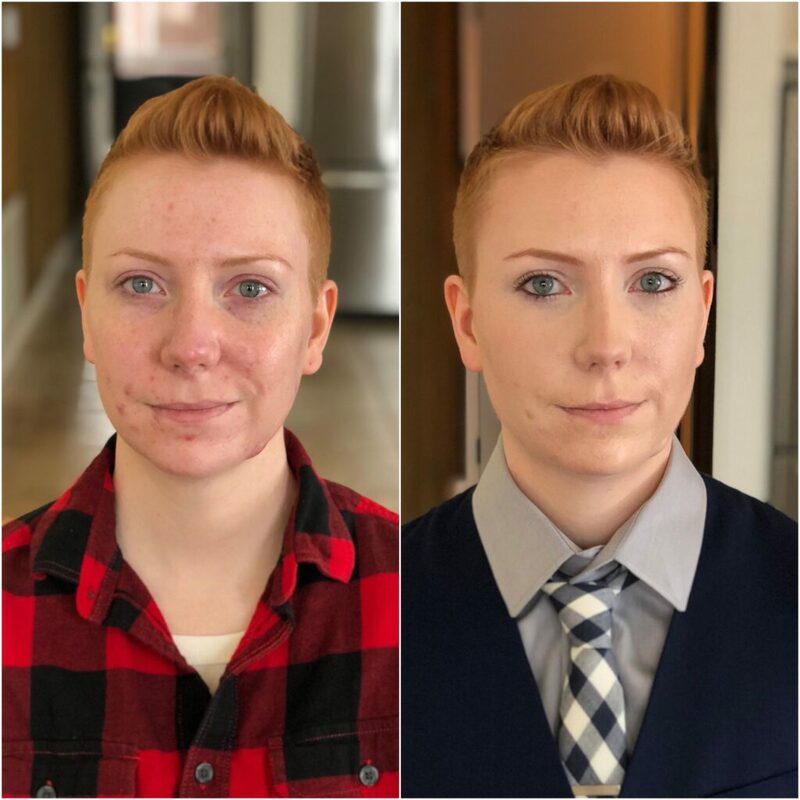 Since her wedding was going to be outside in the snow, I created a custom lip color by mixing different lip stains. I knew that she would be cold so I had to add a little more color but it is also her wedding day so it needed to last through lots of kissing. I never let my brides leave my chair with a good setting spray like the Urban Decay All Nighter Setting Spray. For her hair, we added Bellami hair extensions to create this fluffy fishtail braid. I love using the one clip extensions into the front braid for extra thickness. For Emma, she choose to go with the natural makeup option. With the natural package, I cleansed and lightly exfoliated to guarantee the smooth application of foundation and concealer. After adding moisturizer, we started with the base makeup. 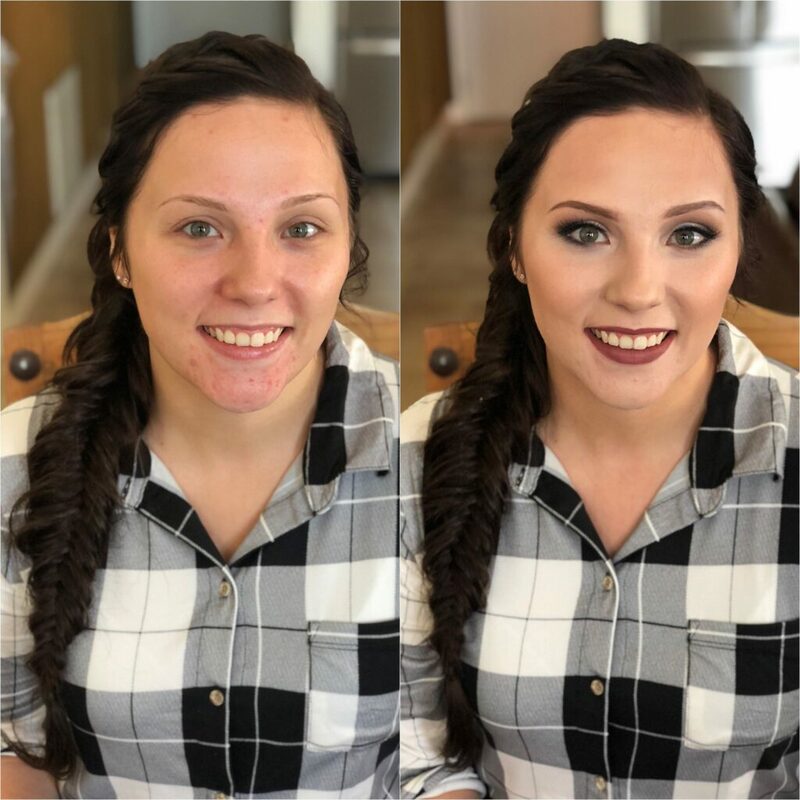 I focused the coverage with around her mouth, adding a small amount of foundation to her forehead and cheeks. Next I added shape and dimension with MAC’s contour and blush. I added a lip moisturizer for ultra soft lips all day. Why You Need To Start Using a Primer today!